Welcome to Sundance Music Studio. At Sundance Music Studio you will find a professional, friendly, highly motivating and nurturing environment for students of all ages to learn to play music. 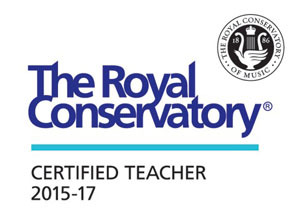 As a registered Suzuki Classical Guitar teacher, Royal Conservatory of Music Certified Teacher and Registered Music Teacher with ARMTA, I offer Classical Guitar, Flute and Piano lessons. I have over 25 years of experience with individuals and ensembles. Students as young as four can learn to play classical guitar using the Suzuki method with supplemental music tailored to each student’s needs. Older students and adults can study using the Suzuki method and/or the Royal Conservatory of Music method. Students taking private lessons can also play in group ensembles providing the benefits of group repertoire in a fun social setting. I hold recitals during the year and encourage students who are more serious about performing to play in the Calgary Performing Arts (formerly Kiwanis) Festival and the Calgary Suzuki Strings Festival. For more information and lesson inquiries, see the contact page. 2017 – what a busy year and successful year!